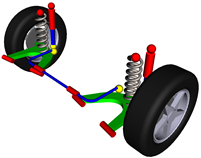 • typical steer and drive spring suspensions for trucks. 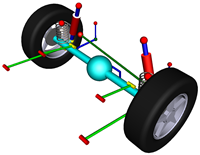 Models of suspensions from the library are parameterized uniformly and designed so as to provide the easiest way to create car models based on these suspensions. 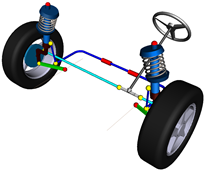 Key suspension properties are parameterized for easily tuning for every specific car model.